When it comes to entertainment, fans contemplate who they will pay to see in concert, what they will wear to the event and who they will invite to accompany them. But when masses of people gather, there is always potential for high volumes of waste and environmental damage. With sustainability taking a front seat culturally these days, event organizers are starting to pay attention to ways they can provide eco-friendly concerts and festivals. From fans, to artists, to organizers, everyone plays an important part in helping to achieve the same sustainable goal. While organizers can take the initiative to implement changes at each venue, performers have an impressive influence when they choose to work sustainably. When an artist with a strong fan base takes a stand, he or she can cultivate huge change. 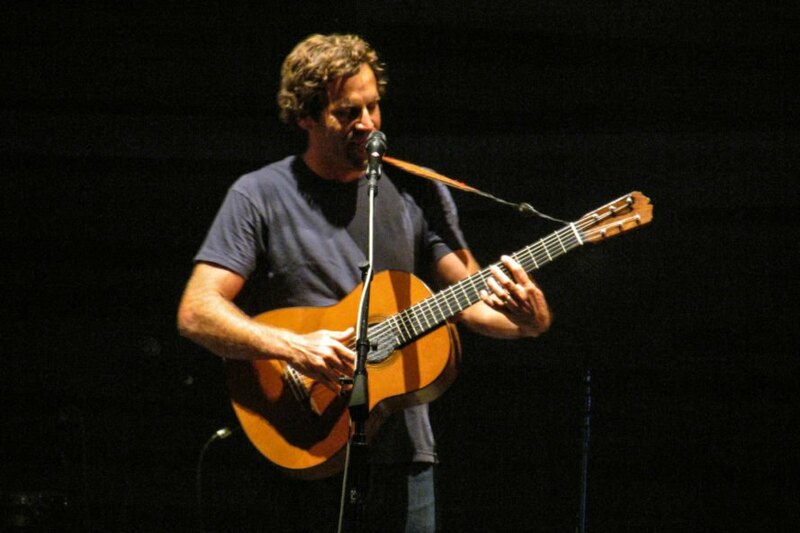 Take Jack Johnson, for example — a major name in the music industry is also a name linked to sustainable practices. His recording studio in L.A. is also where his team packages and ships CDs. The entire operation is solar-powered for a small carbon footprint in an industry that generally uses copious amounts of energy. Johnson’s crew also fuels tour buses with biodiesel and sells sustainable concert merchandise. In 2014, Johnson began the All at Once movement, which requires venues to agree to certain contract terms in order for him to perform. While some artists request specific foods or beverages in a green room, Johnson’s demands include energy-efficient light bulbs, 100 percent recycling and the elimination of plastic. In a world where sustainable practices are increasingly dire, Johnson and many other artists are setting an example for venues and fans to follow. 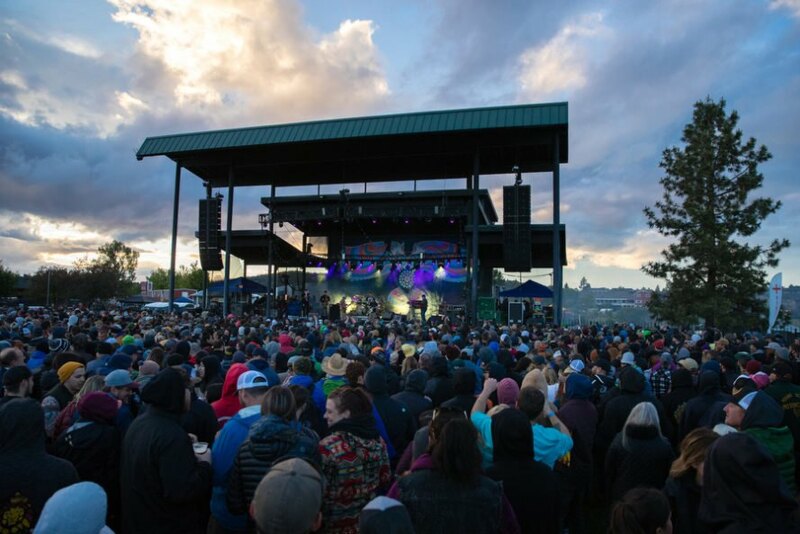 Located in the outdoor mecca of Oregon along the beautiful Deschutes River, the Les Schwab Amphitheater decided to become part of the solution to concert-produced waste with its Take Note initiative. The initiative outlines that all vendors serving food or beverages must agree to use 100 percent compostable dishes, utensils and cups. In addition, there are no single-use plastic water bottles for sale on the campus. Instead, there are free water refill stations. This particular venue also sells reusable cups made from stainless steel or non-petroleum silicone. The cups can be brought into the venue for any event in the future, too. 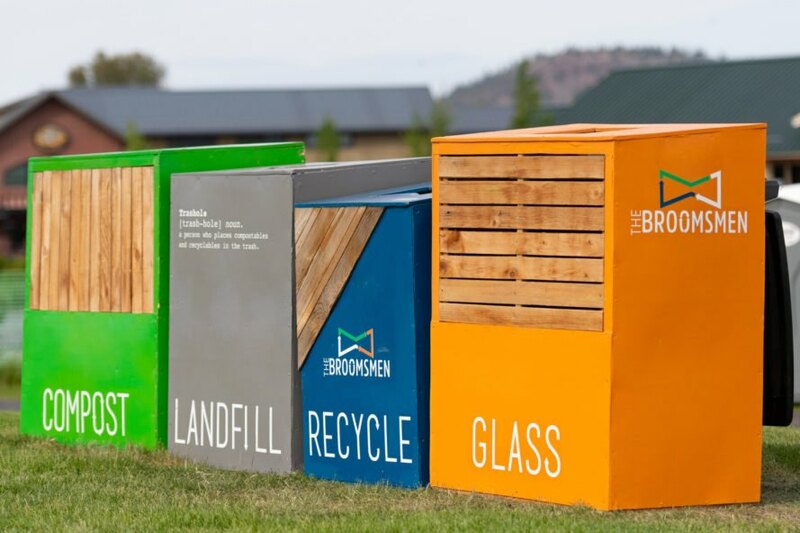 Members of an Oregon-based group called the Broomsmen, which is focused on promoting zero-waste events, monitor the refuse stations at the Les Schwab Amphitheater to ensure garbage, compostables and recyclables all end up in the correct bins. Instead of a sea of plastic at the concert’s end, the result is a 50 percent reduction in waste over the past three seasons. Other venues across the country have implemented similar policies. The Santa Barbara Bowl is working toward a carbon-neutral venue and boasts a landscape of native and drought-tolerant plants. Since 2013, The Bowl has made huge changes to how it handles waste. It currently diverts 90 percent of waste from landfills and hopes to reach 99 percent. In addition to the reduce, reuse, recycle and compost philosophy, the Bowl uses low-energy lighting and produces electricity for the venue using solar panels. Venues such as the Les Schwab Amphitheater and the Santa Barbara Bowl are inspiring drastic changes for event spaces around the world. As a fan, there are numerous actions you can take to facilitate the green-entertainment initiative. First, consider your mode of travel to the event and opt for eco-friendly alternatives. Consider carpooling with friends, using uberPOOL or taking public transit for a smaller carbon footprint. If you are close enough, ride a bike or walk instead of hopping into a cab. When choosing events to attend, consider the venues. Choose venues working toward sustainability, and support their efforts. Food and drinks are a huge part of the concert and festival environment, so come prepared to enjoy these treats in an eco-friendly manner. Bring your own refillable water bottle or reusable cup. If you don’t have one, purchase one at the event. Not only does this offer you discounts for the life of the cup, but it also funds progress at the venue. Many vendors have reduced straw waste by offering them by request only, and you can help even more by bringing your own reusable straw to the show. Speaking of waste, do your part to properly sort garbage, compostables and recycling. With a combined effort from artists, venue organizers and fans, the age-old pleasure derived from musical events can be both memorable and sustainable. Enjoy the show! As sustainability becomes increasingly important, music events have an opportunity to green up their act. Artists like Jack Johnson can inspire change by living sustainably and only working with green venues. By offering recycling and composting bins, music events can divert waste from the landfill. Some venues even offer free water stations, so those who come with reusable bottles are rewarded. Fans play an important part in making music events more sustainable. You can choose to support the greenest venues and artists. Music events are a time for people to come together. Let's also make it a time to contribute to a cleaner planet.